Heat for 30 seconds to a minute in the microwave before devouring it. There's way too much ghee in the mix. The nuts! 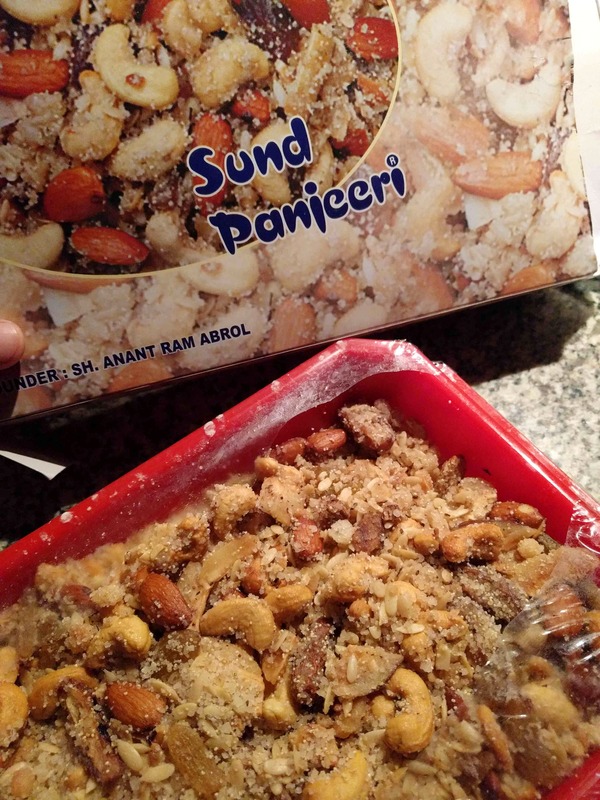 Giant almonds and cashews make this panjeeri stand out.